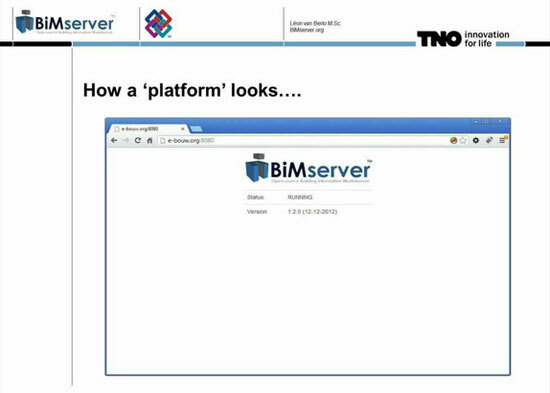 Ruben de Laat recently introduced BIMserver (Open Source BIM) version 1.3.0. The newest version contains several significant improvements in comparison with BIMserver version 1.2. The most crucial changes are the addition of superior render plugins as well as the latest plugin type ‘modelchecking’. BIMserver consists of 2 render engine plugins alias IFC Engine and IfcOpenShell. IFC Engine should be set as the default. The “model checking” capability is implemented in two places: prior to data is accumulated in the database, and prior to a notification to a remote service is send out (after the formation of a new revision in the database). New hood enhancements which contain bugfixes, superior error messages, e-mail headers, memory use optimization, updates of jetty and berkeleyDB, etc. Future applications – Integration of IFC 2×3 and IFC 4 in one BIMserver, an mvdXML checker plugin for model checking.